Eradication of poverty cannot be brought about by charity, but needs first and foremost empowering the poor, focusing on women, and tapping their tremendous potential. Poverty Eradication Initiative (PEI) is a non-political, non-partisan and non-profit organization working as a facilitator to initiate and sustain women and children oriented developmental processes both at policy and community level on partnership basis. In order to sustain economic challenges we must provide people with an opportunity to grow thereby contributing to overall economic growth. With high interest rates small entrepreneurs will not have the opportunity to grow. With the help of technology we can easily leverage the interest rates to a certain level. But in order to achieve wider goal, we have devised a model that is somewhat related to Financial networking. Along with our partners, we working on a number of projects. Micro Health Franchise system provides entrepreneurial support to the community midwife workers that lead to the standardization of services, access to financial services and having support by an efficient referral network that can respond to emergencies in a proactive manner. 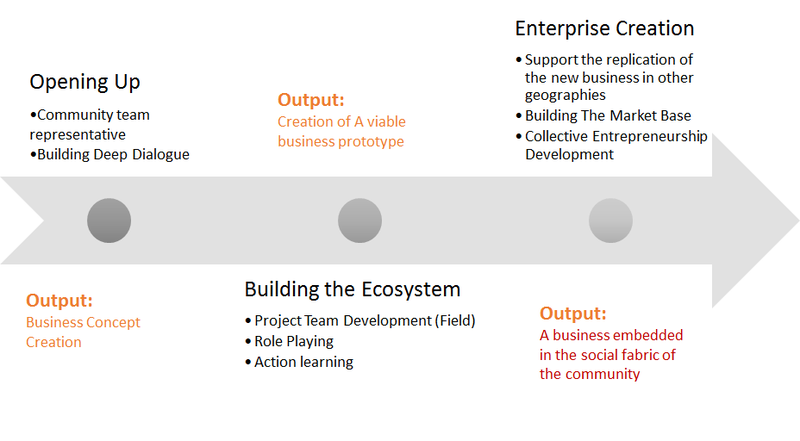 Goal of Our Model is to deploy a business model for entrepreneurs that is embedded in the social fabric of the community. This model will allow the skilled craftsmen to establish their vision as entrepreneurs and take an active part in revitalizing their communities. Our model ensures the poorest of the poor get access to finance in the most effective and easy way. It also ensures maximum benefits are received by the original owner of the crafts regardless of their gender. With steps like these people living in remote villages can have growth and prosperity. In conservative communities where they do not allow their women to work outside their homes; women can still contribute towards earning bread for their children. Normally women in remote villages are uneducated yet they are skilled in handicrafts.